Leandro, firstly, let me congratulate you on the fantastic season at London Helvécia, England’s most dominant Futsal club. The reason for this interview is to understand more about your club, its ambitions and your relationship with the University of Hertfordshire. Leandro: Thank you for the invitation, it is my pleasure to speak to Futsal Focus followers about London Helvécia Futsal Club and what we believe in at our club. I have been following Futsal Focus for a number of years and enjoy visiting the site for futsal development news. London Helvécia Futsal Club has dominated English Futsal for a number of years and this year’s league title will make it seven league titles in total. 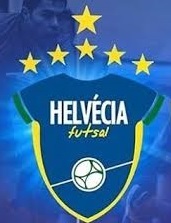 What do you think Helvécia has as a club that sets it apart from the other clubs in the league? London Helvécia since its inception has always had the determination to succeed in our DNA. We seek out players who have the same attitude and for those young players coming through who need a bit more encouragement and training, they too will be instilled with the same determination due to the environment at this club. The seed to succeed was planted from day one and we are reaping the rewards in addition to the experience that we as staff bring to the club to further its development. I have been the coach of Helvécia for 3 years now and when I look at my players and coaching staff I see determination, positivity, professional attitude, quality and day by day the players and everyone looking to deliver more and more to make a difference. I have never met a champion athlete or a successful person in any industry who only did enough or just what was asked of them. Champions DO MORE and GIVE MORE because they WANT IT MORE. We believe in this and we never give up. London Helvécia has been involved in the FA National Futsal League since its creation, what is the club doing to give back to the sport on and off the court? Today, through our director Andrew de Santana, London Helvécia Futsal Club has a contract with the Westminster Council which involves us with the community of Westminster where we have more than 20 coaching hours a week. Furthermore, we have our own Futsal Academy located at the Moberly Sport Center and for London Helvécia it is very important to increase awareness of Futsal within our surrounding community. On the court, we work with children from ages 6 to 17 years old plus we have five under 20 players in our squad. These players are already playing games in the FA Futsal Cup and the Super League, they are good players who already understand the game of futsal. We are also proud of our women’s team who were recently crowned champions of the Southern Futsal League and we are in the League Finals and also the FA Futsal Cup. Next season, we will launch our second team with players aged between 18 years and 21 years old, our goal is to make our players not only play futsal but understand the game of futsal. I want to use this interview to put myself at the disposal of any futsal club in the U.K and Ireland who wants to know our methodology, all they have to do is reach out and just contact me. It would be my pleasure to go to your club’s training sessions and to talk with grassroots clubs not involved in the league but who want to learn. In the Futsal industry there is not enough information sharing which I feel needs to be done more when it comes to coaching, business, marketing, etc. we can all learn from each other and develop the sport that we love for its betterment. 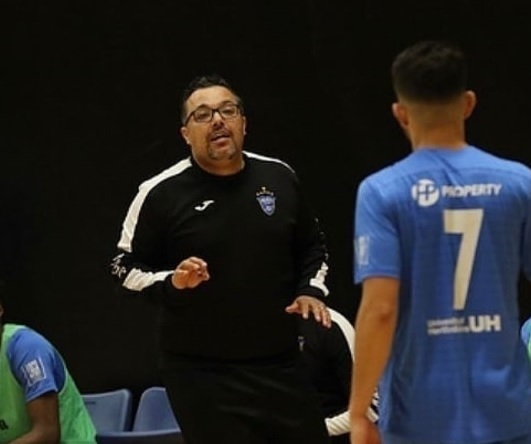 London Helvécia has yet to qualify for the main round of the UEFA Futsal Champions League, can you give coaches reading this interview an insight into what it takes to compete at that level. Plus, what you feel it will take for Helvécia to take that next step and progress? 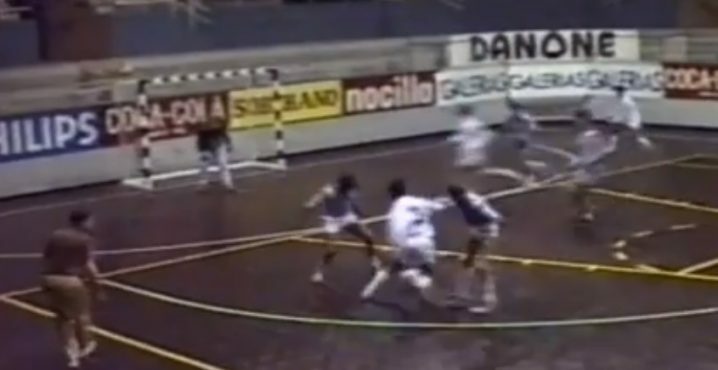 To compete at this level of competition it is necessary to have a good understanding about the game of Futsal, plus to have a strong mentality, patience, and calmness when things aren’t going the way you want it to. Through a consistent attitude and knowing your game plan, the players and staff will succeed. Futsal is a sport that demands high concentration levels, high fitness levels, players who aren’t playing at professional clubs where you train every day need to take responsibility for their own development outside of training by going to the gym, eating right, watching Futsal videos and continuously learning. Whilst I pass my knowledge to the players I also seek out knowledge because there is always something to learn, players have to do the same. London Helvécia is always looking to grow in all areas, we have several players with the qualities that we need and we will bring in 1 or 2 more players in certain positions to aid the squad further. 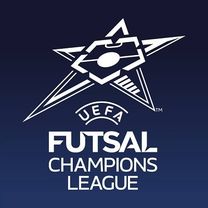 If we are representing English Futsal at the UEFA Futsal Champions League preliminary rounds this year, we will do all we can in our power to represent England with honour, we will work hard to reach the mental and physical needs at this level and tactically, we will be prepared for war. 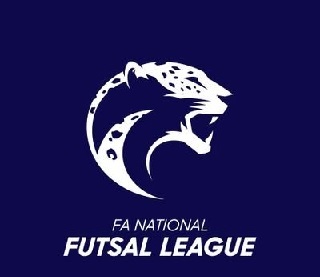 The FA recently released news that it will no longer be supporting the FA National Futsal League and is taking the league in-house. What are your thoughts about the league going forward and the FA’s recent strategy to develop the sport? If this is what the English FA feels is the right way to move forward then we as a club will support that and contribute as much as we can to see their efforts succeed to grow the sport as we have always done. I am excited about the strategy that the FA launched and again where we can help to assist their aims, we will. All who are involved in English Futsal are in a privileged position, we should never lose sight of the work we are doing and that it will aid the sports growth and the young players involved. Look at one of our previous players, England Futsal International Liam Palfreeman, he came to our club, enjoyed his time here, built on the experience he gained at Baku United and in Italy and when the opportunity came for him to play in Spain we did everything we could to assist him and make that a reality, now, he is in Spain playing in the Segunda B. We want to see more young players getting the opportunity to play at the highest level; we want to help any player that comes to our club to achieve that. Opportunities are what will attract young players to our sport and we as a whole in the English and British Futsal community should look to provide as many opportunities as possible for them to enjoy the game of Futsal. Recently you brought Brazilian National Futsal Head Coach Marquinhos Xavier to visit the University of Herefordshire. Can you tell us about your work there and what the University’s plans are to develop the sport? Marquinhos is my friend and I just wanted to return the kindness he gave to me by inviting me to spend time with him at his club in Brazil, Carlos Barbosa. I spent a week accompanying him to his training sessions and games, and this year in January, Marquinhos invited me to Brazil’s friendly games in Europe against Portugal and Spain where I had the privilege of being in the middle of the highest level of futsal in the world. I learned a lot from him and I continue to learn a lot from him. The University project was due to an invitation from Bryn Clark, Deputy Director of Sport at the University of Hertfordshire. 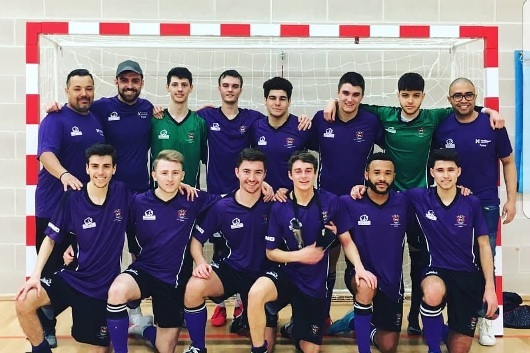 This was our first season to manage the young players there which we really enjoyed and we finished among the top four best university futsal clubs in the UK. We are very happy to have this partnership and we will renew the contract for the next year. Our aim is to bring players to study and enjoy playing futsal for the university. I want to take this opportunity to thank Bryn for trusting in our work, we will work harder to get the university to the very top. I have enjoyed this experience and I am enthused about the opportunity we have at the university level to build this sport especially when you see the Varsity Final Trophy event in Nottingham. I applaud them for the great spectacle they put on, it gives everyone the opportunity to see what can be achieved here in the U.K.
Marquinhos had the opportunity to see the university facilities and to discuss futsal and university futsal in Brazil plus share his knowledge on the needs for coaches and players. A lot of great outcomes came from this visit and we look forward to continuing this knowledge sharing to develop futsal further at the University of Hertfordshire and at our own club.